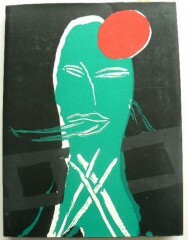 Bruce McLean, painter,sculptor and printmaker. Bruce McLean is one of the major figures of contemporary British Art. Born in 1944 he studied at Glasgow School of Art and at St. Martin’s in London, later teaching at the Slade School of Art. His early reputation arose from his activities as a sculpture involved in performance art. 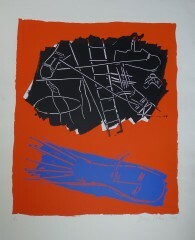 He has obtained international recognition for his paintings and prints, work with film, theatre and books. Bruce’s bold and confident approach to print making and the wit evident therein proved influential to his contemporaries and also to a generation of younger artists. Bruce’s work is in private and public collections world wide, and he has had numerous one – man shows in both Europe and North America. These include The Tate Gallery, Modern Art Gallery in Vienna, the Arnolfini, and The Museum of Modern Art, Oxford. ‘Dream Work’ Book Illustrated with original Screenprints.